Microsoft CEO Steve Ballmer is expected to take the stage tomorrow at the D: All Things D conference and debut Redmond's new search brand, which is codenamed Kumo. No one knows for sure if Microsoft will stick with the Kumo brand for its latest search effort or go with another title. Earlier this week, the name Bing started looking more likely than Kumo, when AdAge on Monday released a report claiming Microsoft plans an $80 to 100 million advertising campaign to drill the name Bing into the minds of users everywhere. Then, TechCrunch's MG Siegler added further credence to Bing as the final name after he was able to snag a screenshot of a favicon -- the little icon you see next to the address bar in a Web browser -- on bing.com. Was this Bing's new logo accidentally released into the wild? Nobody knows, but it was an interesting catch. Besides a short list of names, little else is known about Microsoft's search engine. In March, screenshots under the codename Kumo leaked online showing a three-column Web page with advertising on one side and navigational links on the other. The standout feature on Kumo was the "related categories" tool that offered several broad-based topics directly related to your search topic. Searching for a particular singer would bring up links to that artist's biography, albums, and so on. Since Kumo's March leak, the search engine has been locked down at Microsoft's headquarters, and no one has any real idea what lies underneath its shiny new wrapper. So with little information available, and on the eve of what may be the debut of Microsoft's new search engine, I thought I'd offer my "5 Things I want to know about Bing:"
1) Will Bing's related search categories work as advertised? Related search categories are a great idea and are likely the result of Microsoft's acquisition of the semantic search engine Powerset. But in the two examples of search results we've seen -- a search for Taylor Swift and another for Bose speakers -- the queries were product-oriented. However, not all searches are for products like movie times, albums, and A/V equipment. What about non-product-oriented searches for information on historical figures, health issues, or current events? If related categories can't measure up equally across all search topics, how useful will it really be? 2) Will Bing integrate with other Microsoft services? One of the great things about Google is that you can find direct links to all of Google's most popular services right from the search page. One-click access to Gmail, Google Docs, and Google Reader from Google.com is a great feature, and shows that Google understands how integrated all aspects of your digital life are. Yahoo is also a fan of one-click access to other Yahoo services, but have you ever tried to find a link to Hotmail on Live Search? You can't, because the link to Hotmail doesn't exist. If Microsoft wants to pull people away from Google and Yahoo, Bing needs to be integrated with all other Microsoft services and not just the ones directly related to search. For example, did you know that Microsoft offers 25GB of free online photo storage? Without a Hotmail account you wouldn't, because a link to the photo service cannot be found on Microsoft's two primary portals: MSN and Live Search. Note to Microsoft: integrate, integrate, integrate. 3) Will Bing go beyond the 10 Blue Links? Google and Yahoo have spent considerable time making sure their search results go beyond a boring list of URLs. Google and Yahoo have integrated thumbnails of videos, images, and maps within search results for both popular and niche topics. Google is way ahead of Yahoo in delivering more than just links, but Live Search is pathetically behind both of the two search leaders. The majority of Live Search's results are a pure list of URLs; Bing has to do better. 4) Can I trust Bing to work properly? I'm not sure if this was due to Microsoft's impending search transition or not, but while looking at Live Search for this article the link from the U.S. edition of Live.com to MSN.com was broken, and clicking on Live Search's Rank feature crashed my Web browser. If Bing causes heartache like that, Microsoft might as well forget about becoming a search leader. 5) Is Bing the end of Microsoft's serial rebranding? 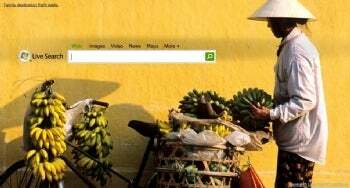 For six years Microsoft's search brand was called MSN Search and delivered third-party search results. By 2004, however, Microsoft realized the potential profits in online search, and unveiled its own search engine under the MSN Search brand. It's been an uphill battle since then, with a rebranding in 2006 to Windows Live Search and by 2007 Microsoft dumped the name Windows, opting for the simpler Live Search. That makes Bing the third rebranding in five years, and the fourth moniker overall, for Microsoft's search service. Instead of focusing on constant renaming, Microsoft would benefit from picking a name for its search brand and sticking with it. While nothing is for certain yet, tomorrow Microsoft should grant us a peek at Bing, and the company could even announce a launch date for the search engine. Whether Bing is available tomorrow, next week or next month, you can bet that once the search engine is live, Bing will be judged against the search's gold standard: Google. So what do you think? Will you be Binging by the end of the summer or is Microsoft's search effort doomed to failure?